“I’d heard that the dropout rate was nearly half, and was told that the first year of U of T was designed to weed people out,” says first-year student Tessa Mahrt-Smith. It’s not an uncommon opinion among incoming U of T students. Chatter among high school students, first-year students, and Internet forums such as College Confidential and The Student Room perpetuate the myth. Contrary to the opinions of many, U of T has one of the highest first-year retention rates in the country a rate that stood at 91 per cent between 2002 and 2012. From 2012-2013, it rose to 92 per cent, compared to an average of 88.5 per cent among other “Highly Selective Public” universities and 82.6 per cent among all other public universities. “I’d heard going into U of T that a lot of people dropped out, but then I came to realize in second semester that I didn’t really know anyone who had left or noticed any significant number of people at all missing from my classes,” says first-year student John-Alan Slachta. Perhaps the reputation itself is self-defeating. “I feel like a lot of people hear that 50 per cent dropout rate statistic and decide that they wouldn’t be able to cut it here. And suddenly those potential dropouts don’t even come to the school,” first-year student Kamal Jha speculates. U of T’s entrance averages in the 85 per cent – 100 per cent range are significantly higher than those of other Ontario universities as of 2013; dovetailing that statistic is the lower number of students in the less than 80 per cent and 81 per cent –84 per cent ranges compared to other Ontario universities. The Varsity spoke to former students who left U of T before graduating and their comments painted a different picture than the stereotypical dropout would suggest. These are individuals who dropped out due to personal reasons but have concrete plans for their futures. Both former students had different experiences interacting with the university when they dropped out. “Honestly, University of Toronto didn’t support me at all through the process of dropping out. I emailed my registrar and they just told me they were sorry that I was not longer interested in my program and sent me links on how to possibly apply to a separate program within the university and how to drop out. It was very much a do-it-yourself process,” said Marie. The widespread myth of first-year failure may be unfounded, but the varying processes of dropping out are very real. This university, which does not have a systemic issue with dropouts, has no unified process that all students can consult. Students gathered at the University of Toronto Students’ Union’s (UTSU) recent Special General Meeting-turned townhall to discuss a motion for ethical divestment. Over 15 years ago, students fought to end the sale of unethical products at U of T.
In 2000, U of T’s Students Against Sweatshops (SAS) successfully lobbied the university’s Governing Council to pass a code of conduct for U of T’s clothing suppliers. To this day, Trademark Licensing, a program at U of T, aims to ensure the university’s marks are ethical and of high quality. 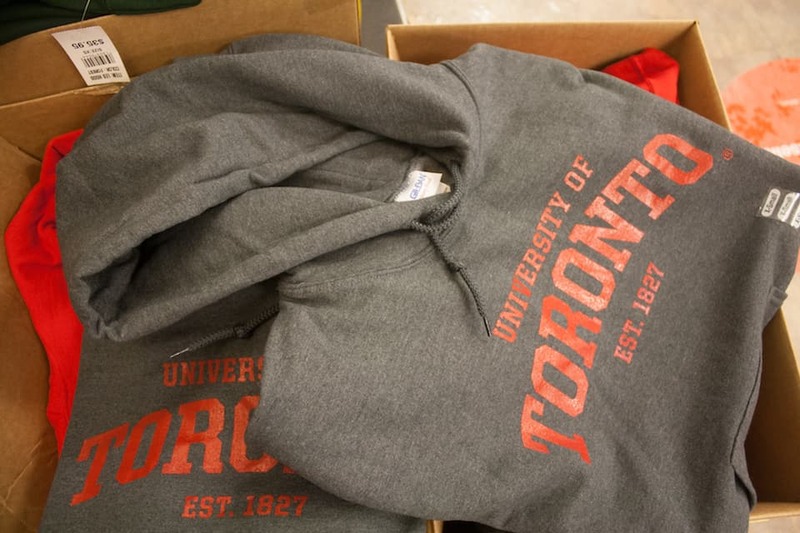 U of T has an intensive vetting process that companies, called “licensees,” must go through before they can produce goods and apparel with U of T’s logo or marks on them. In an open letter to president Prichard published in The Varsity in 2000, SAS admonished the university for its indecisiveness. “We were surprised to learn of your recent hesitation in adopting a code of conduct with provisions for a living wage. After the forum hosted by the University on 31 January 2000, we thought it would be clear that a new code without such language is ‘behind the times’”, the letter stated. In another article published in The Varsity, SAS organizer Ian Thomson, emphasized what students were hoping for in the code of conduct. SAS bargained with the university for over a year, and after a decision was pushed back one too many times, 17 students held a ten-day sit-in at then president Prichard’s office. Since the code of conduct was passed, U of T has been a leader in ethical sourcing among Canadian universities. Anne Macdonald, director of ancillary services at U of T, pointed out that post-secondary institutions in the United States began similar programs before U of T, but that U of T was the first to do so in Canada. Today, U of T works with Learfield Licensing, a licensing agent that checks U of T’s licensing companies, as well as two NGOs to ensure the ethical production of its branded clothing. The Workers’ Rights Consortium (WRC) works with businesses and corporations, while the Fair Labour Association (FLA) has on the ground employees that take in direct reports from factory workers. The current agreement licences require companies to disclose to U of T where their products are manufactured. 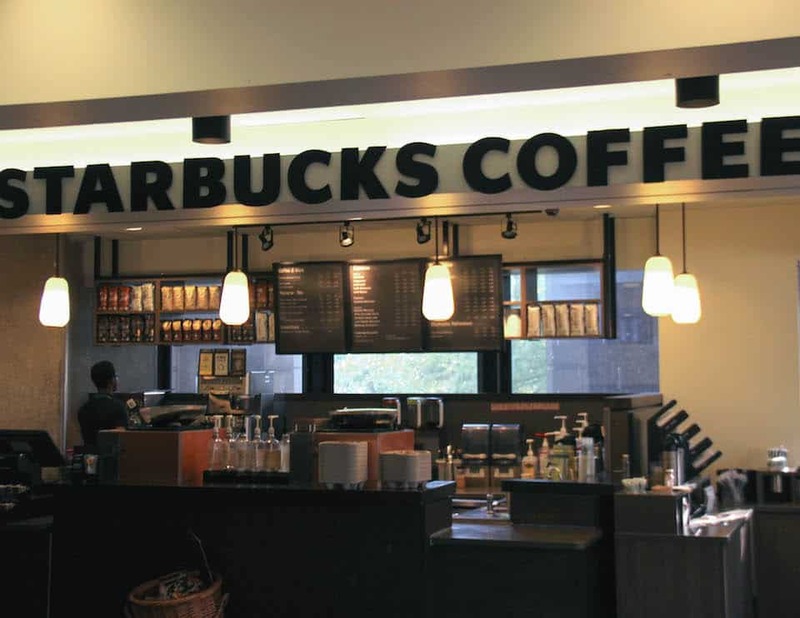 However, loopholes can still be found due to the complicated nature of supply chains. U of T has agreements with their licensees, but the licensees have their own suppliers. For example, an unethical source could sell blank products to a licensee, which could then responsibly use those products at their own businesses. For the most part, U of T receives reports from the WRC and FLA about areas of concern and then Trademark Licensing will investigate further to see if any of the licensees are involved. The current policies allow for dialogue, but some students do not think this is enough. As various groups on campus call for divestment from other investments at the university, students remain critical about where their fees are going. The University of Toronto’s Aerospace Team (UTAT) is looking to take its funding to the next level. The group will be proposing a divisional referendum concurrent with the University of Toronto Students’ Union (UTSU) Spring Elections. The levy, if passed, will charge students in the Faculty of Arts & Science and Professional Faculties 85¢ per session. The levy would be collected through the UTSU, an avenue that UTAT has never used before. One of the university’s largest student design teams, UTAT is composed of students from both the Arts & Science and Engineering faculties. Over the past five years, UTAT has been pursuing increasingly high-flying and complex projects in space and aviation, hoping to add a student-led satellite project to their repertoire. The team hopes to expand all five of its divisions (Aerial Robotics, Unmanned Aerial Vehicles, Rocketry, Space Systems, and Outreach) over the next two years. In pursuing a levy, the team hopes to not only realize larger projects, but also to gain support for more student-powered research and development at U of T as a whole. The majority of money from the levy would be put toward a project to launch a satellite into space sometime in late 2018 or early 2019. The UTAT aims for this satellite to be the first satellite in Canada, completely designed and built by students. 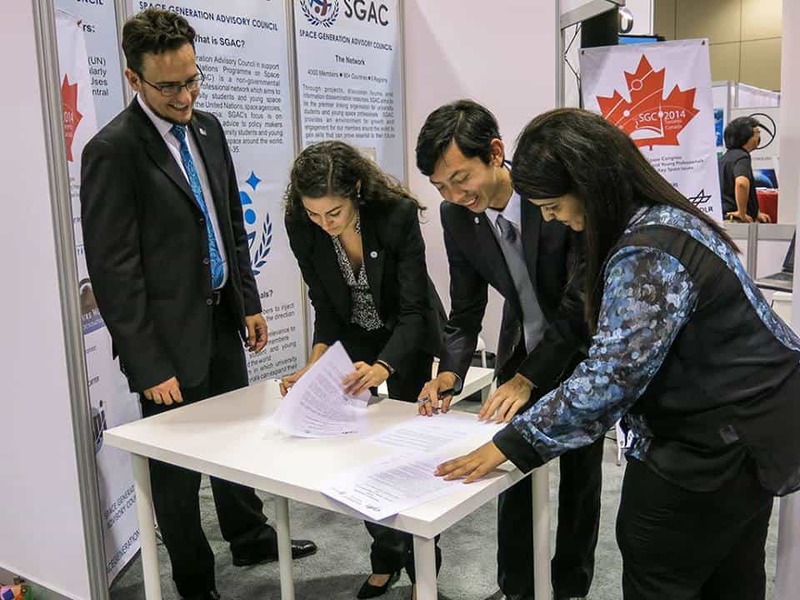 “As part of the Canadian Satellite Design Challenge, UTAT is bringing together students from engineering, physics, and life sciences to conduct microbiology experiments in support of astronaut health,” Wang said. “We aim to develop a low-cost, open platform for students around the world to carry out space medicine experiments, using standardized and miniaturized satellite design combined with our microbiology research setup.” Of course, launching a satellite into outer space is costly, and requires greater funding than the team is currently able to receive. There are some at U of T who worry that Piazza may be permitted to sell the information of its student users, an accusation that the company flatly denies. Piazza is a free online Q&A platform commonly used by — but not limited to — instructors teaching computer science, statistics, and mathematics. Students can post questions, to which instructors and other students can provide answers, and instructors can also post announcements on the website. Professor Susan McCahan serves as vice provost, innovations in undergraduate education. Part of McCahan’s role at U of T is to evaluate new educational technologies. Why use Piazza at all? Paul Chow is a professor of Computer Engineering and Electronics at U of T. One course he teaches, ECE532 Digital Systems and Design, uses Piazza extensively; in addition to the discussion board, nearly all course information is placed exclusively on Piazza with the exception of student grades, which appears on Blackboard, U of T’s main online learning platform. 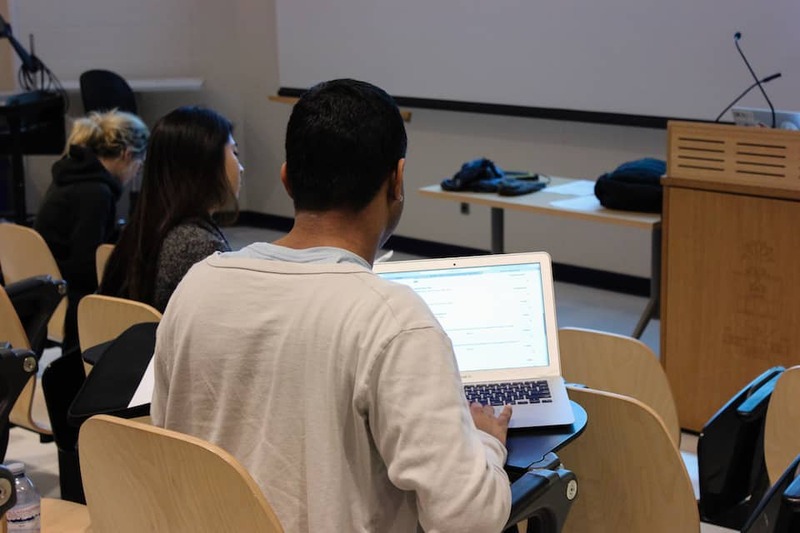 “Piazza is significantly better than the Blackboard discussion platform,” said Theo Poenaru, a second-year computer science student who said that roughly half of his courses have a Piazza component. Chow said that no students have come to him with privacy concerns thus far, that if needed, he could help a student register on Piazza using non-U of T email address, under a pseudonym. Piazza allows students to use alternate names. Chow is critical of the fact that U of T did not make instructors and students aware of this feature, which he learned of from colleagues at other universities. “I think the university could have spent more time investigating how to help the instructors use their choice of platforms within the “rules” rather than just posting a warning about it,” said Chow. Given the caution in U of T’s December statement, it may come as a surprise to students and instructors to learn that the university had been looking into the possibility of integrating Piazza directly into Blackboard as early as 2014, when they first reached out to the company. Relating the story of the initial contact between Piazza and U of T, McCahan said that Piazza expressed hesitation in engaging in the discussion and that the university’s understanding time that they were hesitant because they were still a relatively small start-up company. Correspondence between Piazza and the university picked up again in March of 2015, and continued through October until, in McCahan’s description, the company stopped responding. “They haven’t been returning our phone calls, essentially,” she said. “We went forward with doing a little bit of digging,” McCahan continued. “We didn’t go through a formal review, which we would do to accept a technology. But we did enough digging to determine that there were some issues with the technology.” It was these issues that led to the December statement. The University of Toronto recently announced plans to construct a new Centre of Civilizations and Cultures. 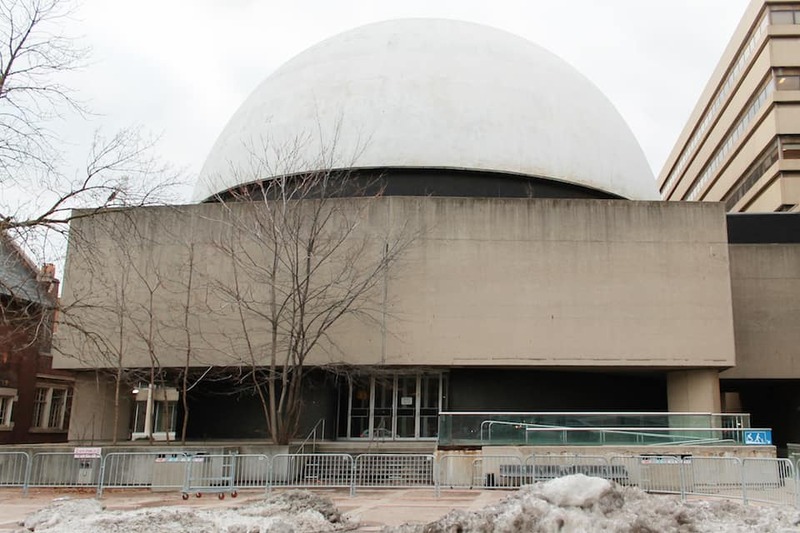 The building will be built at 90 Queen’s Park Crescent, replacing the location’s current resident, the decommissioned McLaughlin Planetarium. Scott Mabury, U of T vice-president, university operations, emphasized the value of the project to both the university and the global community. “This is a great combination of academic faculties [and] academic superstars… Bringing them together will advance the conversation,” he said. The centre will house the departments of History and Near and Middle Eastern Civilizations, along with the Institute of Islamic Studies and the research arm of the Anne Tanenbaum Centre for Jewish Studies. It will also boast an open plaza on the ground floors, an auditorium for the Faculty of Music, and more open access to the Philosopher’s Walk pathway. Toronto’s Architects Alliance will collaborate on the design with Diller Scofidio + Renfro, a high-profile architectural studio. The Architects Alliance has worked with U of T before, assisting with both the Woodsworth Residence and the Terrence Donnelly Centre for Cellular and Biomolecular Research. When asked why the university was building a new centre as opposed to addressing existing buildings in need of maintenance, Mabury stressed that updates would remain a priority, saying, “We’re doing both.” He pointed to many current efforts to rehabilitate structures, including about 70 different projects across the St. George campus. Mabury also cited more major undertakings to rebuild and repurpose buildings, such as at the Faculty of Law. 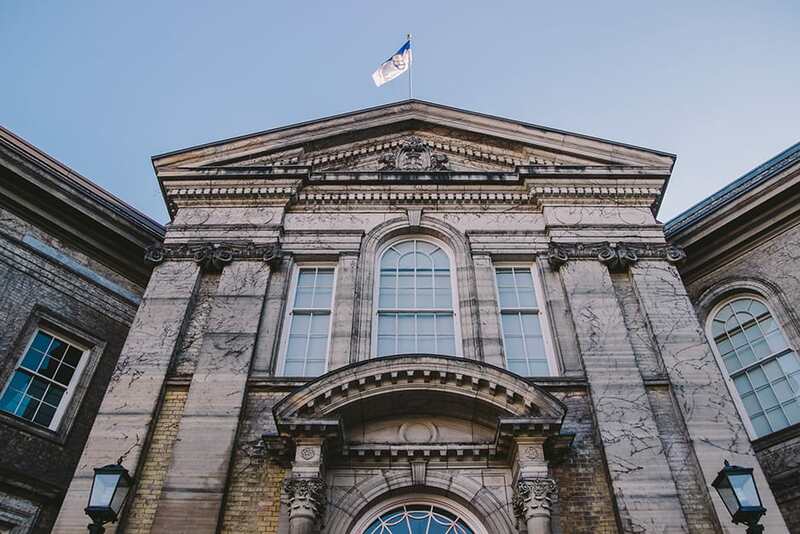 A report presented to the Business Board of the U of T Governing Council in the spring of 2014 estimated the total cost of deferred maintenance on the St. George Campus at $443 million, well above that of the satellite campuses. The report also argued that the university’s policies have had some success in tackling high priority issues. It is not just U of T academics who stand to gain from the new Centre. The surrounding community has been anticipating its creation since the university bought the space at 90 Queen’s Park in 2009. The Royal Ontario Museum, the location’s previous owner and current next-door-neighbour, expressed enthusiasm at the announcement. “This development will enhance the area’s overall cultural experience by increasing the number of visitors, programs, and events offered in the Bloor Street Cultural Corridor. The ROM looks forward to collaborating with U of T to present joint programming, exhibitions, lectures and more at both the Museum and the new Centre,” said Marnie Peters, ROM spokesperson. Some may be sad to see the McLaughlin Planetarium removed entirely, even though it has been closed since 1995. It has been a part of Toronto’s history since its opening in 1968, and has its own place in the culture of the area. However, its prominent location meant that the space was unlikely to go unused. The proposal for the centre was first released in September 2014. The complex was originally intended to include the Jewish Museum of Canada, which has since been removed from the plans due to changing funding priorities at United Jewish Appeal. There is no definite timeline for the construction, as the project is still in the design phase. The Faculty of Arts & Science is reviewing U of T’s learning management engine (LME), which is currently provided by Blackboard. 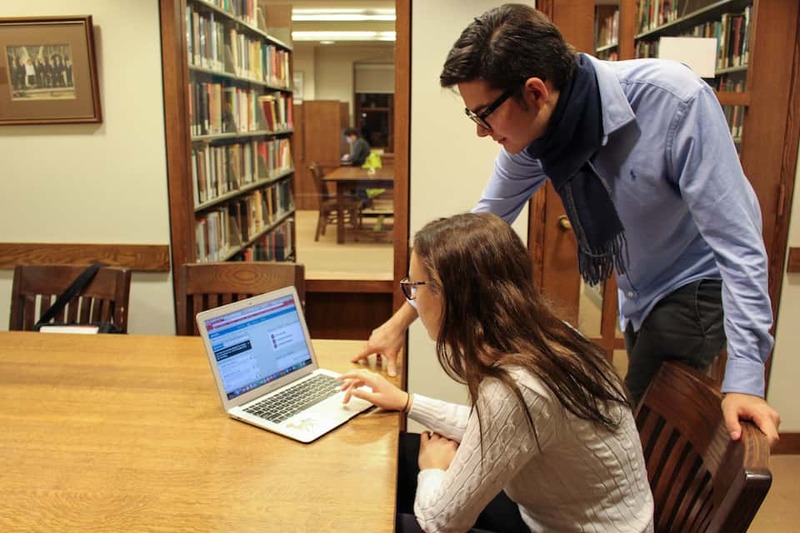 There are plans to develop a new LME: the Academic Toolbox Renewal Initiative. In anticipation of this new system, the faculty hosted a townhall on Portal, where students came to air their grievances and give feedback about the interface. A little over a year ago, The Varsity reported on the persistent outages and maintenance hours that Blackboard faced, and many students believe that they feel a disconnect with their instructors. Professors and students have expressed frustrations with the current LME. One student who attended the town hall criticized its user unfriendliness, mentioning that one of her peers pasted her assignment in a comment box rather than the assignment submission box, which could have affected her grade. In addition, professors are not required to use Blackboard to submit grades, which leaves some students frustrated with the inaccessibility. Learning tools such as gamification modules, marking interfaces, publishing capabilities, and many more are on the long list of suggestions for the new framework. The faculty discussed features such as a calendar for assignments and exams, and many of the technologies were scheduled for renewal last year. Out of the three stages of the LME development, the initiative is in its second phase. Abdullah Shihipar, president of the Arts & Science Students’ Union, also criticized the lack of “user-friendliness” of the current Portal system. “No one knows how it works,” Shihipar said. The lack of a search option, the inability to edit the types of tools needed for each course, and nothing “more than just a text option” for the current organization function, were a few of the grievances he aired on behalf of himself and other students who reached out to him over social media. Toronto Police were called to the scene of a shooting that occurred just south of College Street on Spadina Avenue at 3:18 AM on January 30. The violence killed two people and injured three. A yet to be identified assailant fired at a group of five men in front of the New Ho King restaurant, a Chinese restaurant popular among U of T students due to its close proximity to campus. Detective Sergeant Mike Carbone told media at a press conference that “some type of altercation” prompted the shooting. One victim was pronounced dead at the scene; another succumbed to his injuries in hospital. The other three victims remain in hospital. The identities of the victims will remain confidential until their families have been notified. Spadina Avenue was closed off between College and Dundas for the police investigation. Carbone said that there are not enough details to release a suspect description and that police are canvassing the area for video footage of the incident.